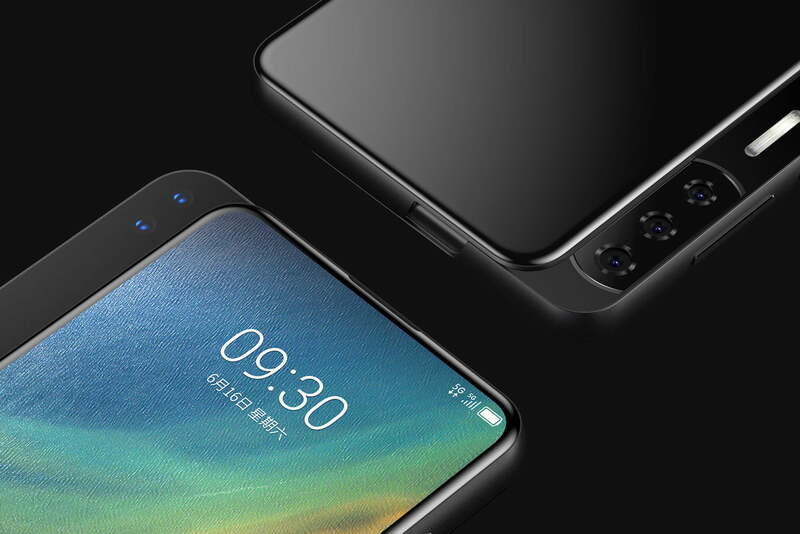 A set of concept images show smartphone maker ZTE may have some ideas on what to do about the screen notch, and they’re quite unusual. Manufacturers are desperately trying to move away from using a notch, trying ever-more inventive ways of having a full-screen experience without a cut out at the top of the display. The Axon S and Axon V show how ZTE may approach the situation. We say “may approach,” because there is no proof the images you see here show genuine ZTE products. 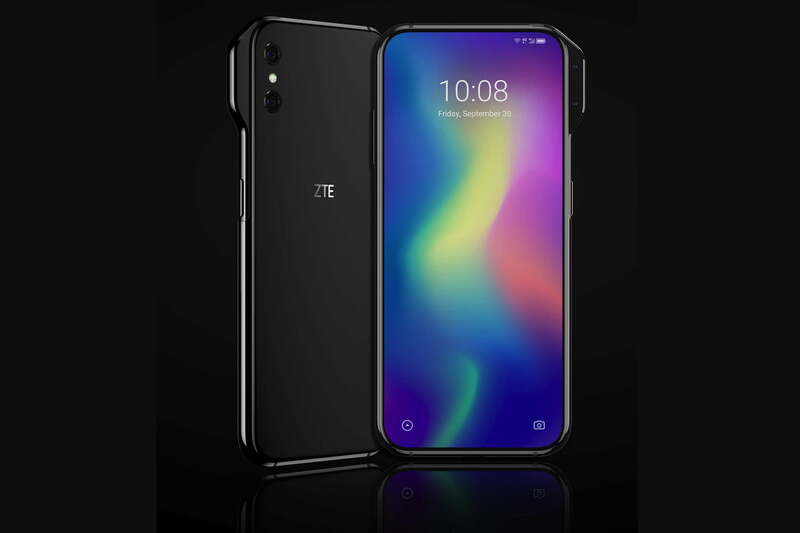 Even if these are actual ZTE phone concepts, this is not necessarily proof they will be made into devices you can buy. However, with that caveat in place, just take a look at these two alternative ways to get rid of both the notch and the bezels on a smartphone. Get ready, because these are crazy. The first is referred to as the ZTE Axon S, and it’s a variation on the slider design seen on the Honor Magic 2 and the Xiaomi Mi Mix 3. However, instead of the slider rising out of the phone’s top, it flicks out to the side, where it reveals both a dual-lens, front-facing camera and a triple-lens rear camera. This means the phone’s OLED screen not only doesn’t have a notch, but the body doesn’t have any camera lenses on the back either. It’s completely smooth. ZTE’s Axon S really takes minimalism to the next level. There’s a thin sliver for a speaker above the screen, an in-display fingerprint sensor, and absolutely nothing on the back — not even any branding. The slider design is great, and works well on Honor and Xiaomi’s phones, but it can slow down camera activities due to the extra step involved in getting them ready. The rear camera under the slider may have a 48-megapixel main lens, a second 19-megapixel lens, and a 5x optical zoom. How about the ZTE Axon V? Why put the selfie camera in a notch (or a slider) when you can mount it in a module outside of the screen? That’s what the Axon V shows — camera lenses inside a camera bump that’s slung out on the side of the phone. 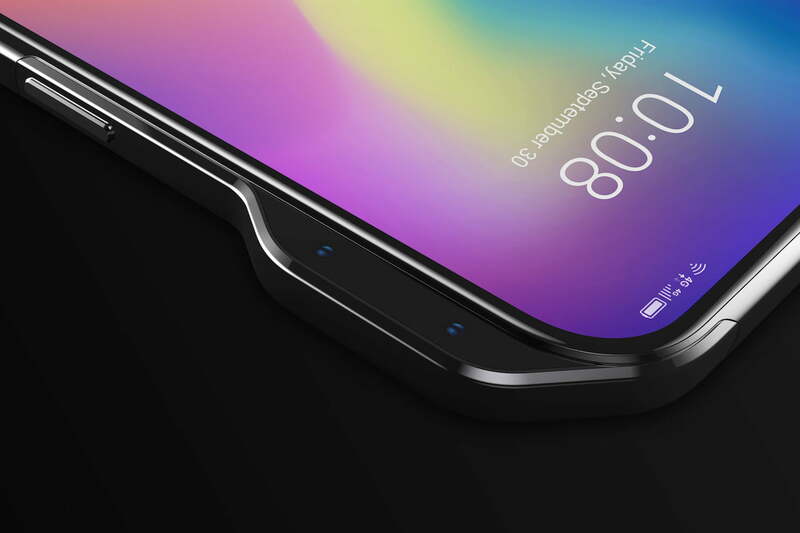 It’s unusual looking, not very ergonomic, and certainly not the most elegant solution to the notch. The Axon V’s rear cameras are visible on the back, but we don’t know anything about the specification. The front camera may use a 3D sensor, likely for secure face unlocking. The result is the 6.8-inch screen on the Axon V does not have any notch, and very small bezels. 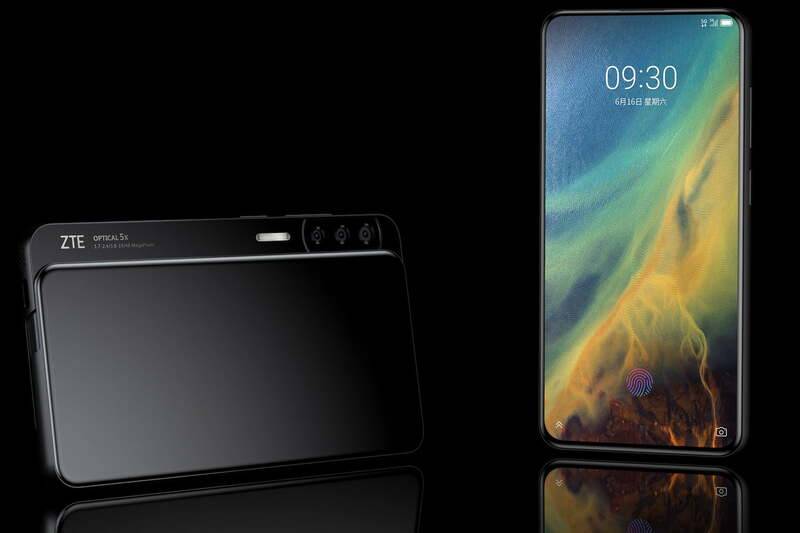 According to Notebook Italia, where all these images were published, the Axon V’s camera position will help ZTE fit a larger battery inside the phone, and it also may come with 5G connectivity. It states the device may launch this year, but doesn’t give a more precise date. It also says the Axon S will have 5G, which is shown in the top corner of the screen on one of the renders. Are these ZTE phones real? If so, will they ever go on sale? We don’t know for now, so must treat them as fan-made renders. That doesn’t mean we don’t love the creativity, and will cling to the chance these really are being worked on in a corner of ZTE’s research and development department.